Mr. Robert Edmond, Sr. age 70, of 804 Maverick Court departed this life on Wednesday, April 11, 2018. Funeral services will be held on Friday, April 20th at 10:00 AM in the Wiseman Mortuary Chapel. 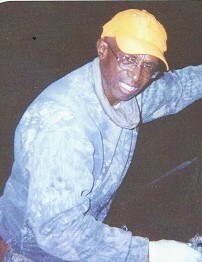 He leaves to cherish his loving memories: one son Robert Edmond, Jr., two step-sons Conrad Bruton and Lamont Love; one daughter Shannon Danford, one step-daughter, Sondra Bruton; six brothers, Joseph Edmond, James Edmond, Marshall Edmond, McKinley Carpenter, Paul Carpenter and Michael Carpenter; four sisters, Louise Edmond, Sandra Edmond, Mary Edmond and Essie Harris; eight grandchildren and nine great grandchildren and a host of other relatives and friends. There will be a viewing Friday, April 20th from 9:00 AM to 10:00 AM at the funeral home.